Keep your bread fresh and close to hand with a bread box from Brandenberry. Skilled Amish artisans painstakingly handcraft the bread boxes from solid hardwood. So they’re eye-catching, practical and durable. And you’re not likely to find quality like this at discount furniture stores. 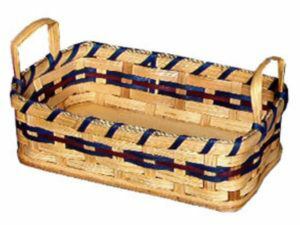 The Bread Basket will have you serving up your fresh homemade bread in style. The Bread Box will help you keep your countertop clean and organized. This Bread Box with Plexiglas Front will add style to your kitchen. 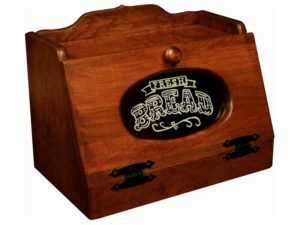 The Bread Box with Roll Top is an old-fashioned solid hardwood Bread Box. 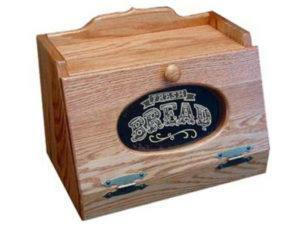 The Bread Box with Roll Top and Rail is an eye-catching bread box. 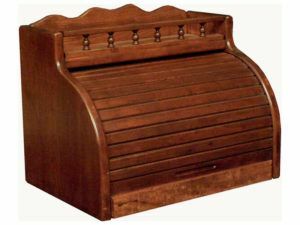 It features both a Roll-Top and shelf with decorative rail. A Cherry Bread Box with Plexiglas Front is a perfect place to keep your bread fresh. 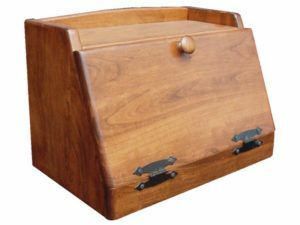 The Cherry Bread Box with Roll-Top and Drawer is the perfect place to store your bread products. 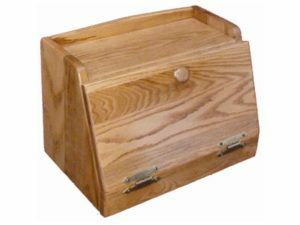 Utilize this solid hardwood box to store your bread products. 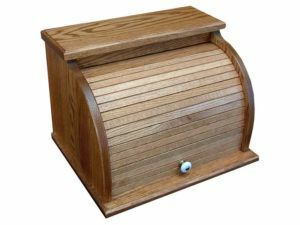 This Bread Box is designed and constructed with solid hardwood and features a Roll-Top and shelf with rail. 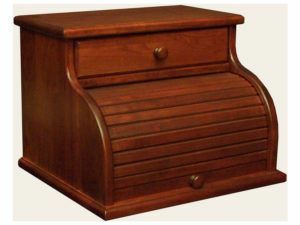 Presenting a delicious collection of bread boxes from Brandenberry Amish Furniture. Did you know that a wooden bread box will keep your bread fresher longer than leaving it in the open or in the refrigerator? What’s more, each bread box in the collection is large enough to keep your bread, rolls, bagels and other baked goodies fresh. And some come with a shelf or drawer to display or store small items. 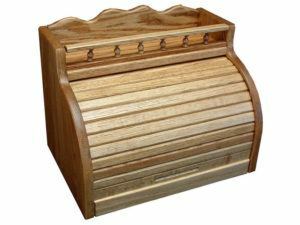 Amish cabinetmakers handcraft each rustic bread box from solid hardwoods like oak, cherry or maple. Then, they beautifully stain and finish it. As a result, the bread box you choose will dress up your countertop, sidebar or elsewhere in your dining room or kitchen. Plus, it’s so well built, you can expect it to help serve up delicious treats for generations to come.